Very nice for a wartime ball, offered is a pleasing ONL Frick model baseball. Signed by 21 team members, the autographs are fairly nice overall. 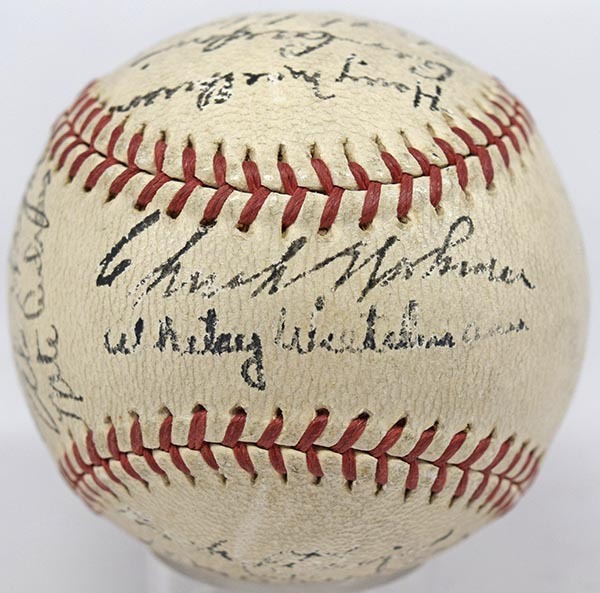 Recognizable names include 1927 Yankee Bennie Bengough, Ira Hutchinson, Red Barrett, Clyde Kluttz and Charlie Workman.